All businesses, from small start-ups to large enterprises, have associations with other parties. No company could survive without some interaction with others. For small home businesses the relationships may be minimal, probably limited to visits to the local office supply store, a phone/internet plan, and a website hosting service. Other businesses, however, have a large number of affiliations with outside sources, and this is where things can get tricky. In days gone by, business people simply spoke about their arrangement, shook hands, and let the association play out. Sometimes the deal went smoothly, and other times it spiraled out of control. 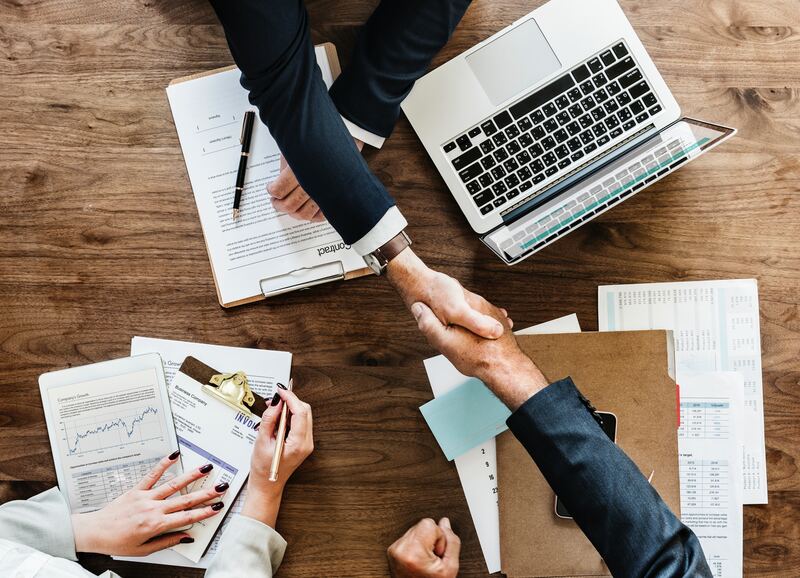 Some still choose to conduct business with a handshake and a smile, but there are compelling reasons to have a more formal agreement in place. Here is a brief overview of what a vendor contract is and why every business should have them. So, What is a Vendor Contract? The term vendor contract may sound intimidating, but it simply refers to an agreement between a business owner and a supplier. The offerings from the vendor could be a product or service, or a combination of the two. One type of vendor contract could cover such things as coffee services, office supplies, marketing services, consulting, software, or any other items/services needed to run a business. What Does a Standard Vendor Contract Include? Of course, there are countless types of vendor agreements, but a standard vendor contract includes some common provisions. Here are some of the typical clauses. Product or Service: First and foremost, the vendor contract should contain a detailed description of the product or service that the vendor is providing to the business. This way no one is left in the dark about what is going to be supplied. Payment Agreement: Another very important aspect of any agreement is the payment details. A standard vendor contract should always layout the cost of the product or service being provided, when payments will be made, who the money should be paid to, and any terms outlining penalties for late payments. Engagement Term: A standard contract with a vendor should also specify how long the agreement will be in effect. When creating an agreement, you may choose to specify an end date for the contract or opt to outline any reasons that either or both parties may end the arrangement. Intellectual Property: If intellectual property will be used on either side, then adding a clause detailing its use and who owns it is advisable. Deliverables: If there are any deliverables to be provided under the agreement, then the contact should specify who owns them once they are delivered. Representations and Warranties: The vendor agreement should detail any warranties the vendor makes regarding the work being done or products being provided. Confidentiality: If any confidential information will be shared with the vendor, then a confidentiality clause should be included. These types of provisions usually contain points about not disclosing the confidential information to other parties and about what should be done with the information at the end of the agreement term. Limitation of Liability: This type of clause is meant to specify the degree to which the vendor will be held responsible for anything that goes wrong. Businesses will often state the amount that they will seek in damages and what the cap is on that number. Indemnification: This clause is usually added to stipulate that one party will hold the other party harmless in certain situations when something has gone wrong. Are Vendor Contracts Worth It? So now that you're up to speed on what a vendor contract is, you might be wondering, is it worth going through a vendor contract negotiation to hash out an agreement? The short answer is ‘yes’, but you probably want to know the reason behind that response. While it would be far simpler if two parties could make a verbal agreement and have everyone on the same page from the get-go, the truth is that different people see things… well, differently. Going through a vendor contract negotiation and getting the details of your business relationship down on paper gets everyone’s expectations out in the open. In a well laid out agreement, the vendor will have a clear understanding of what must be provided and under what terms and the business owner will know exactly what is coming and the limitations of the product/service. These contracts are meant to protect both parties from being taken advantage of and should clarify expectations before any business is conducted between the two. Vendors (especially the big ones) typically have a contract of their own that they use for all business dealings, so business owners need to be diligent in reading the fine print before signing. It’s unlikely that your cable provider is going to hash out a new agreement just for you, so you should be aware of what you’re getting into before signing on the dotted line. Businesses, even smaller ones, can accumulate a large number of contracts in a short amount of time. Keeping track of these agreements is essential, but can be tedious and stressful. ContractSafe can keep vendor agreements of any type together in one easy to implement and simple to navigate online space. If you’re ready to free up your drawer space and end your contract headaches, start your ContractSafe free trial today.